Does the cost of long term care concern you? Is your spouse currently in a SNF (Skilled Nursing Facility) with a monthly cost of $5,000.00 or more per month? 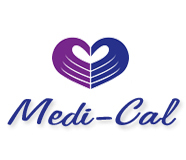 We can work to exempt your assets so you can qualify for Medi-cal while retaining your exempt assets. This information will allow us to have a meaningful conversation in protecting your assets.